Trinity is expanding its resources so parishioners can learn more and reflect on racism in their own lives and in U.S. society. The following books are available to borrow. 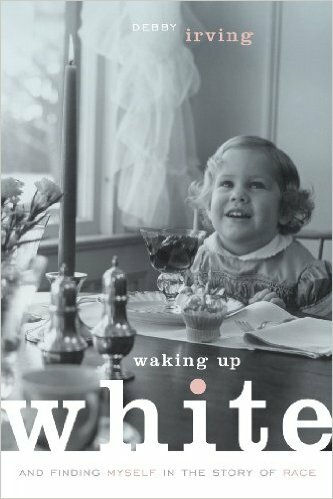 Waking Up White is the book Irving wishes someone had handed her decades ago. By sharing her sometimes cringe-worthy struggle to understand racism and racial tensions, she offers a fresh perspective on bias, stereotypes, manners, and tolerance. Americans have built an empire on the idea of “race,” a falsehood that damages us all but falls most heavily on the bodies of black women and men—bodies exploited through slavery and segregation, and, today, threatened, locked up, and murdered out of all proportion. What is it like to inhabit a black body and find a way to live within it? And how can we all honestly reckon with this fraught history and free ourselves from its burden? For families, churches, educators, and communities who want to equip their children to be active and able participants in a society that is becoming one of the most racially diverse in the world while remaining full of racial tensions. For white people who are committed to equity and justice, living in a nation that remains racially unjust and deeply segregated creates unique conundrums. What if the world we have-with its racism, sexism, heterosexism, ableism, religious hatred, ecological disregard-is exactly the world we have spun into existence through the stories we have told? Melvin Bray insists that a better world is possible if the stories around which we organize our lives begin to match the beauty we imagine is possible. Bray puts forth his own daring yet faithful reimaginings of classic faith stories that inspire more beautiful, more just, more virtue-filled ways of being in the world. This book is a report from the front, combining personal stories and theoretical and theological reflection with examples of the work of dismantling racism and methods for creating the much-needed “safe space” for dialogue on race to occur. As the country grapples with racist division at a level not seen since the 1960s, one man's voice soars above the rest with conviction and compassion. In his 2016 New York Times op-ed piece "Death in Black and White," Michael Eric Dyson moved a nation. Now he continues to speak out in Tears We Cannot Stop―a provocative and deeply personal call for change. Dyson argues that if we are to make real racial progress we must face difficult truths, including being honest about how black grievance has been ignored, dismissed, or discounted. On Sunday February 10th we began a conversation about how to move toward becoming a Beloved Community and fight the sin of racism in our lives and in the world. This conversation is happening throughout the state as the Episcopal Church in Connecticut launches its Season of Racial Healing, Justice and Reconciliation. We watched a video of Dr. Catherine Meeks who has launched the Absalom Jones Episcopal Center for Racial Healing in Atlanta. Then we discussed three questions: 1). What is Jesus saying and calling you to do or to be, with regard to racial reconciliation, healing, and justice? 2). How might our churches and institutions respond to this call collectively? 3). What would help you or your church take the next steps around racial reconciliation, healing, and justice? ​We stand in solidarity with any neighbor who is singled out in hatred. We will act to support and love our neighbors. We pledge to speak out against any hatred or mistreatment that our sisters and brothers suffer. We ask our local elected and appointed officials to be vigilant and act immediately to oppose acts of hatred against any in our community. All our neighbors must be protected against acts of violence, regardless of their faith, age, gender, race, orientation and ethnicity. Let It Be! It was a very powerful and humbling experience that I took back home that night. It left me to reflect on what will I pledge in my own community of Newtown and what will we pledge, as a faith community, Trinity Episcopal Church. In light of the recent hate crime in our town we must pledge to stand with all our brothers and sisters and we must pledge love, for love casts out fear. 1 John 4:18. We will carpool from the Trinity Church parking lot at 5:00 p.m.
​Reserve a seat at www.ccag.net. The Racial Justice ministry of Trinity Episcopal Church-Newtown is pleased to announce a workshop on Sunday, June 12th, 2016 from 5:30 pm – 7:00 pm entitled “Opportunities for Criminal Justice Reform in Connecticut.” This session will be presented by John Santa, former CEO of Santa Energy, community activist, and acting Chairman of the Sentencing Commission of the State of Connecticut. Connecticut's prison population has soared from 3,800 to 17,000 since 1980, mostly with non-violent drug users. Over 95% of these prisoners will be released without adequate preparation or support to succeed on the outside. Over half will end up back in prison. This revolving door reaps a terrible toll on both the individuals and our society. For nearly 20 years, John Santa and his colleagues at the Malta Justice Initiative have been working to improve the system by advocating for practical, effective reform measures. 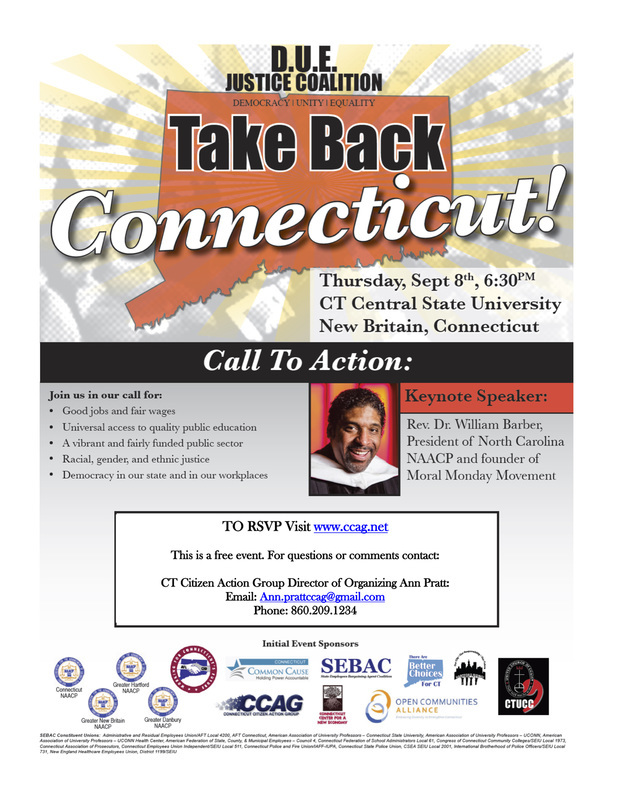 Join us for a presentation and discussion about solutions we can help promote to address the injustices and inefficiencies of Connecticut's criminal justice system, which have a disproportional impact on people of color in our state. John Santa’s record as a community activist as well as his ongoing commitment to social justice and community service is substantial. In 2002 he and his colleagues founded Malta Prison Volunteers of Connecticut - now known as Malta Justice Initiative – to inform and educate the Business, Faith and Academic communities of Connecticut about the opportunities available in Criminal Justice Reform. For his untiring dedication to Criminal Justice Legislative Reform, John was awarded an honorary Doctor of Law degree from Fairfield University in May of 2014. He is currently the acting Chairman of the Sentencing Commission of the State of Connecticut. We look forward to seeing you at this fourth event we’ve hosted over the past year at Trinity as we continue to pursue a conversation on racial equality, justice and reconciliation here in our community and beyond! The Racial Justice group at Trinity Episcopal Church-Newtown is pleased to announce a workshop on Saturday, March 26th, 2016 from 2 pm – 4 pm entitled “Isolated from Opportunity: The Impact of Criminal Records on People of Color in Modern American.” This session will be presented by Attorney Daniel Bowes, an Equal Justice Works Fellow with the Justice Center in Raleigh, North Carolina. In this training, Attorney Bowes will explore the legion of civil disabilities triggered by criminal convictions and the destructive impact of these "collateral consequences" on men and women of color with criminal histories as well as their families and communities. Potential policy reforms and advocacy efforts will also be discussed. Attorney Bowes is a graduate of Duke University and the New York University School of Law. He previously served as supervising attorney of Legal Aid of North Carolina’s Second Chance Employment and Housing Project. Attorney Bowes serves as vice-chair of Our Children’s Place, a nonprofit agency committed to the well-being of the 30,000 children in North Carolina with an incarcerated parent. We look forward to seeing you at this third event we’ve hosted over the past year here at Trinity as we continue to pursuea conversation on racial equality, justice and reconciliation here in our community and beyond! Trinity Episcopal Church hosted a conversation on racial equality and racial justice on October 11. The speaker was Bishop John L. Selders Jr, the Organizing Pastor of Amistad United Church of Christ in Hartford, and a leader of the Moral Monday CT movement. ​It was the second such conversation hosted by the church in recent months. On Sunday, Bishop Selders spoke of how the experience of being treated differently and devalued affects peoples’ life experience, especially for persons of color living and working in Connecticut. The assembled group included people from Trinity Episcopal Church, St James in Danbury, St Stephens in Ridgefield, St Johns in New Milford, and from the Bahá’í community. They spent part of the evening in discussion around tables while eating dinner. These facilitated discussions gave people a safe place to process their thoughts and feelings about racism and how it is experienced in Connecticut and the country. At the end of the evening, Trinity member Rick Chamiec-Case challenged Bishop Selders and his wife Pamela Selders. “We've covered a lot of ground tonight: the importance of developing relationships with people who are different from us, the deep connection between economic disparity and racial injustice, the enormously disproportionate rates of incarceration between people of color and people who are white, the need for education reform, and the like,” said Mr Chamiec-Case. Bishop Selders suggested that they “start local,” and stand in front of the church showing solidarity with the Black Lives Matter movement as a first step to opening up conversation and dialogue with the wider Newtown community. Many from the assembled group were ready to meet his challenge. On Monday evening, 15 people stood quietly with signs and candles in front of Trinity Church on Main Street in the first vigil for racial justice and equality. Mr Chamiec-Case said the purpose of the vigil is to raise awareness of the staggering racial inequalities and injustices within Connecticut and throughout the country. Fellow Trinity member Sue Roman said they plan to be back out next Monday, and Mondays after that. 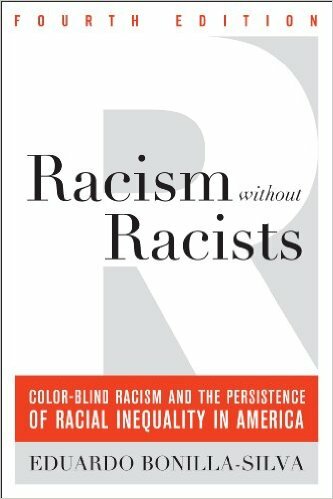 As promised, here is a short reading list on racism in the U.S. There are many more but this is a good place to start. 1. IF YOU READ ONLY ONE, READ THIS ONE. 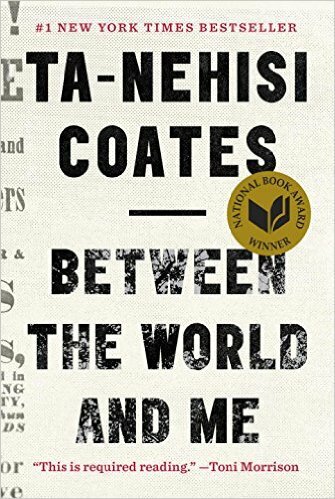 Coates captures what it feels like to grow up and be Black in the U.S. He weaves in history, current reporting, and his personal story. of their labor, especially recently through housing segregation. ​A detailed look at how institutional racism works. 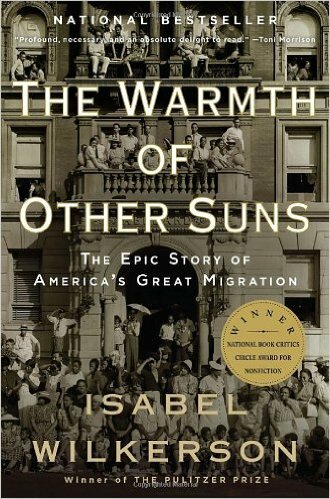 A chronicle of the 20th century migrations of African Americans from the rural South to the urban North. 6. 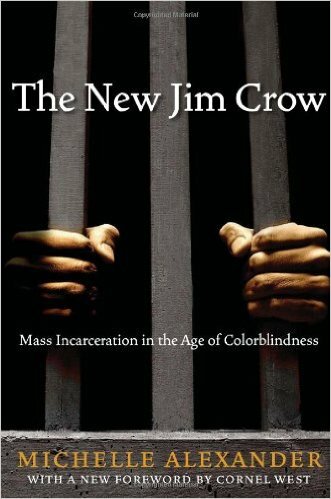 The New Jim Crow: Mass Incarceration in the Age of Colorblindness by Michelle Alexander et al. How the War on Drugs has disproportionally affected people of color. 7. 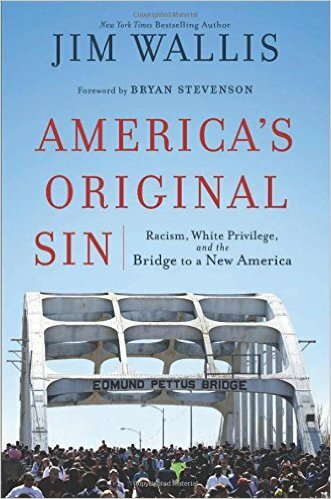 America's Original Sin: Racism, White Privilege, and the Bridge to a New America by Jim Wallis et al. In honor of African-American History Month, the Frederick Buechner Center posted on its Facebook page text and video from Frederick Buechner's appearance on the Chicago Sunday Evening Club on October 4, 1992, where he discusses a lecture event he shared with Maya Angelou. He gets at the heart of why the conversations we are seeking to have at Trinity and in the world are so necessary. Go here to view the video. I am not going to preach a regular sermon today. Instead, I am going to tell you something that happened to me which really preached its own sermon to me. The older I get the more I find that those are the sermons that really make a difference to me in my life, the ones that God preaches through what happens to us. The event that I am talking about, the moment of grace, has to do with that. A few years ago I was asked to give some lectures in tandem with an extraordinary American black woman named Maya Angelou. Several things that took place then were eloquent with meaning to me and I want to share them with you. Go here to read the rest of the sermon text. Newtown, CT June 1, 2015 - On Sunday night, May 31st, 75 people gathered in the Undercroft at Trinity Episcopal Church in Newtown to take part in a conversation about racial equality and justice. The event was organized by Trinity Church. Participants were from Trinity Church, area churches, and the Newtown community. Participants held small group discussions over dinner and then listened and interacted with a panel of three speakers. Organizer Rick Chamiec-Case said that the goal was to "get a conversation started here at Trinity and we hope in the wider Newtown community. " Chamiec-Case told the assembled group “Most of you are probably aware of some very serious incidents that have happened over the past year here in the United States in which unarmed people of color died while being arrested or in police custody. Some of the names are probably familiar to you, Michael Brown in Ferguson Missouri, Eric Garner in New York, Freddie Gray in Baltimore, but you also probably know that in some ways this is just the tip of the iceberg and these incidents represent so much more that’s going on around issues of racial equality. We are starting from the premise that this is a social issue that is not going to just go away. It’s an issue that effects our whole society and many of us are people of faith and we believe that it grieves God to see so many of God’s children hurting, angry, and feeling like they are being treated as far less than equals." Pastor Kathie Adams-Shepherd, rector at Trinity, said in her opening prayer "May we be compelled to choose actions together and individually that cause the kind of change that honors every person as beloved of God, deserving of justice, equity, dignity, respect, and life itself." In addition to small group discussion, attendees heard from three people who have played active roles in the discussion of racial equality for many years in Connecticut. Dianne Jones, the vice president of the Connecticut Center for Non Violence spoke. She teaches people how to stand up for their rights based on the non-violent principles of Dr. King. She reminded the group that Dr. Martin Luther King Jr. worked not just for Black rights, but for human rights. Next spoke the Right Reverend James Curry, retired bishop sufragen of the Episcopal Church in Connecticut. He introduced himself by saying he had grown up in the segregated north. He responded to the question of why people who are white, including people of faith, have such a difficult time understanding, or at least identifying with people of color? He said "It’s because as a culture we’ve built barriers. We’ve built institutional barriers that have to do with economics and education and health care and jobs. We’ve built barriers that have to do with friendships. The challenge for us is to cross that threshold into the neighborhood that is so nearby us. And then, a lesson from my dear friend Henry Brown. Show up. Just show up. Not with answers because a whole lot of these questions and problems that we face don’t have answers yet. If there were answers we would have solved that already." Bishop Curry was referring to Reverend Henry Brown, a founder of Mothers United Against Violence in Hartford, who spoke next. He began his talk “I want to start off by saying that I love every one of you in here, and there is nothing you can do about it. Not a thing." Reverend Brown said to the predominantly white group: “There’s a great difference between our white counterparts and our black communities. You can go home and sleep at night. You don’t have to have the fear of a bullet coming into your window. You can walk down your street. Your elderly can sit out on the porch. You can go to court and be treated fairly. You can go look for jobs and be treated fairly. You can go to some of the best restaurants and people don’t look at you like you are crazy. If we sit here and think that we don’t have racism in our midst then something is wrong with America. America needs to examine itself because we are regressing, not progressing." Katie Gottlieb, a young adult who grew up attending Trinity Church, moderated the conversation at the youth table. She remarked after the event: " I have been burdened with thoughts about the growing discord in our country and the sad barriers that separate us from our neighbors. It was so uplifting to be surrounded with so many wise and gifted people, many who I have long looked up to. Not only to listen, but to be invited to share the conversation as a respected peer."